Only $95 Weekly,with $0 down payment! Lowest Price Guaranteed on all new Hyundai models! Find a lower quote? Bring it to Lauria and we’ll beat it! The IONIQ hybrid combines an efficient 1.6L gasoline engine with a powerful 32kW electric motor for impressive performance and fuel efficiency. For unmatched responsiveness,it also features the class-exclusive Dual-Clutch Transmission in a hybrid vehicle. Together,these elements give you the fuel economy you want from a hybrid,with a driving experience that’s more engaging than you thought possible. The IONIQ Hybrid Ultimate equipment includes: HID headlights with adaptive cornering,8” touchscreen with navigation,8-speaker Premium Infinity audio system,aluminum pedals,17” alloys,leather interior,auto-dimming rear view mirror,wireless phone charging,adaptive cruise control,lane departure warning,autonomous emergency braking,Push button start,power sunroof,power seat,blind spot detection w/ rear cross-traffic alert,Apple Carplay and Android Auto,Bluetooth,Heated front and rear seats,rear view camera,and much more! All-in pricing – prices include EVERYTHING but taxes and licensing. Financing example: Vehicle price is $10,000 financed over 96mo. term @ 4.9% APR. $0 Down payment. Cost of borrowing is $2,107.87. OAC. Plus taxes. Please call for more details. 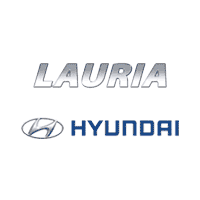 Port Hope’s Lauria Hyundai is a family-run dealership and has been servicing the regions of Clarington,Oshawa,Durham,Peterborough,Lindsay,Belleville,Cobourg,Whitby,Ajax,Bowmanville,and Northumberland since 1984. As multiple President’s Award of Merit winners,we were honoured to be named Canada’s number 1 overall Hyundai dealership in 2012 and have twice been ranked number 1 overall in total customer satisfaction since 2010! Satisfied customers are our key to success,give us a chance to prove it to you,we won’t let you down! Think Smart,Think Lauria Hyundai.